Ronda Rousey Going On An "Impregnation Vacation"
Ronda Rousey appears to have confirmed reports that she and husband Travis Browne are planning to start a family in the near future. Rousey was last seen at WrestleMania 35, where she dropped the Raw women’s championship to Becky Lynch. It had been long rumored that Ronda Rousey was planning to take time off from WWE after WrestleMania to start a family. The news of Ronda Rousey taking time off from WWE first broke back in January. She pushed back on the report in an interview with ESPN, lashing out at people reporting on her plans to start a family. This was a stark contrast to multiple public comments she had made previously about wanting to start a family. 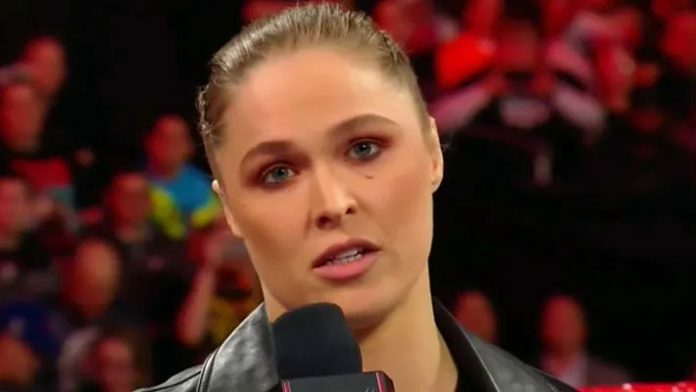 Her personal life with Travis Browne aside, Rousey suffered a badly broken hand at WrestleMania, which would also keep her out of the ring for the foreseeable future.